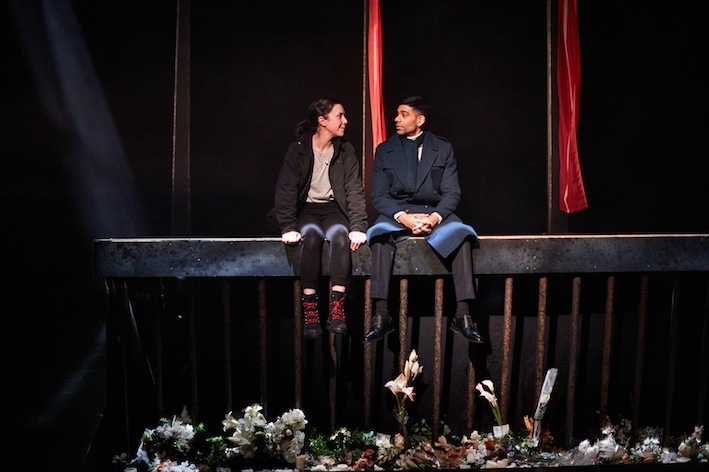 There will be many that frown at the fact that this latest adaptation of one of William Shakespeare’s most popular plays has cast the leading roles with females, daring to cross the mark from traditional to contemporary. But this incredibly innovative and powerful piece of theatre is nothing short of brilliant. 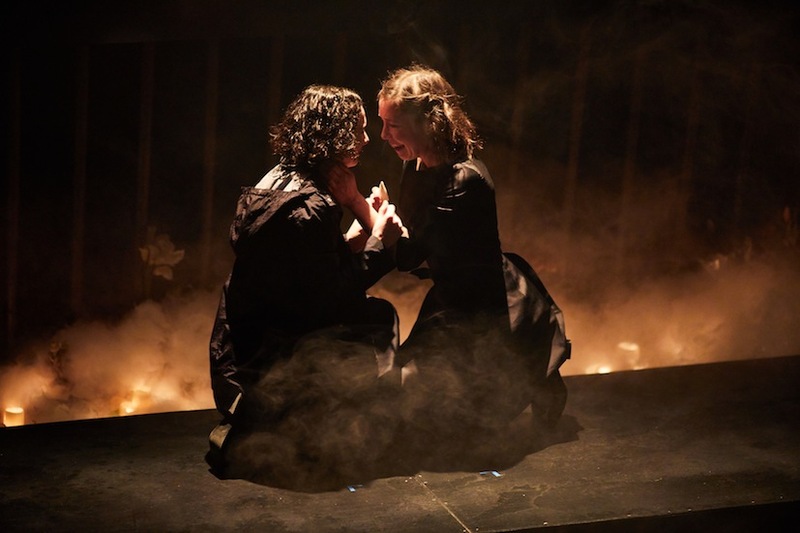 Coming two years after she so successfully directed Romeo and Juliet at the same theatre, director Amy Leach, who isn’t afraid of putting her own distinct mark on her work, has radically recreated the Bard’s tragedy with spectacular results. Casting the tremendous and utterly remarkable Tessa Parr as Hamlet, not only giving a female a male role (nothing overly new here) but introducing her as a princess not a prince, may be seen as bold, but the result was not only exciting and engaging it also kept the the audience hooked from beginning to end. 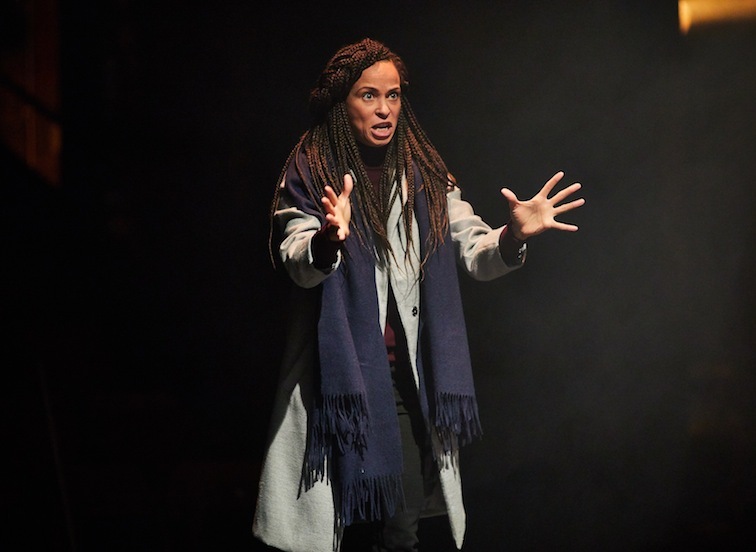 As the opening scenes reveal, there’s a new level of intimacy as Hamlet’s complex relationship with Ophelia is explored in a greater depth, and her eventual vulnerability exposed, as is her intricate friendship with her best friend, Horatio, who is also cast as a woman (Crystal Condie). Instead of Ophelia (Simona Bitmate) being ruled by her father, Polonius (Susan Twist), the King’s trusted advisor, is also recreated as a woman, and a new mother-daughter dynamic is explored. 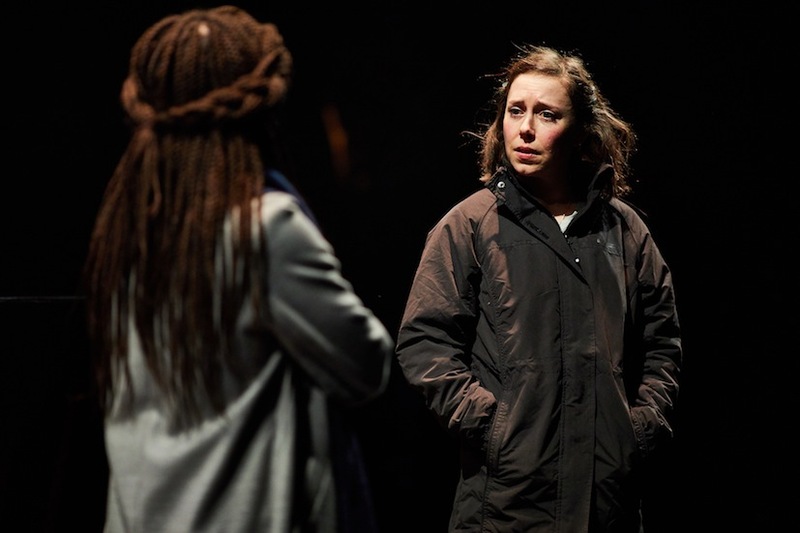 All in all, the strong and inspired female roles give a whole new modern slant to this timeless tragedy, supported in parts by the occasional use of simpler language and a more up to date take on costume – think trainers, rucksacks and headphones. 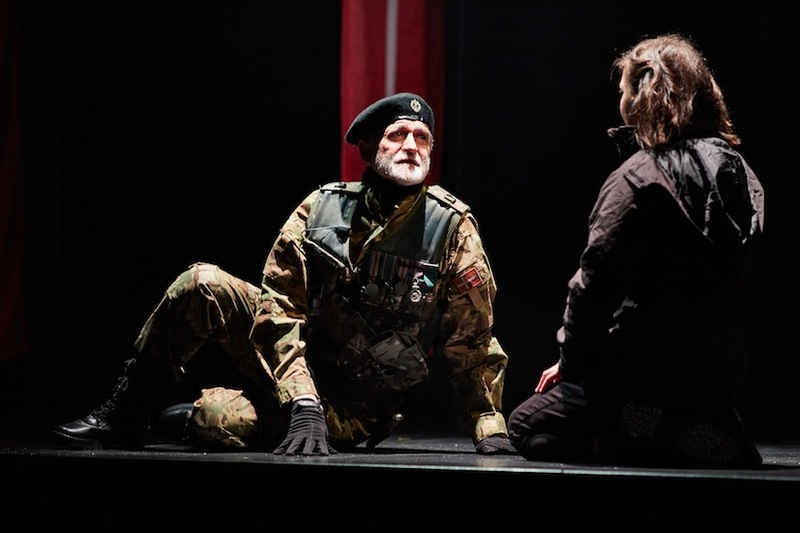 Shakespeare is much loved but not always for everyone – however this fresh and compelling piece of work will open the doors and welcome in those who may normally have shied away. There may be a few who object to Leach’s dramatic and somewhat playful move from tradition but I have no doubt there will be more applauding than those showing expressions of disapproval. Until March 30th. Photos by David Lindsay.